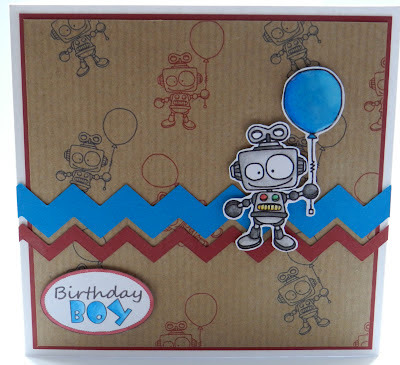 Look at this fabulous card created by Amanda! 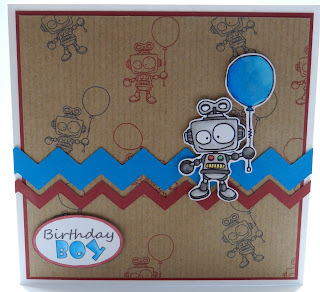 She made her own patterned paper with the 'Robot with a balloon' image. What a clever way! :D And I love the chevrons and simple layout. Thank you for sharing, Amanda. Make sure to visit her blog and leave some love for her. Fab background and love that zig zag! What a great idea for the background paper! This is great. Card by Jane...and one more free digi..